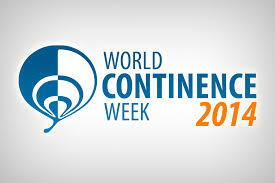 This week is World Continence Week (#WorldContinenceWeek or #WCW14) from the 23rd – 29th June 2014. This annual event is organised by the International Continence Society (@icsoffice) and aims to promote awareness of continence issues with numerous events being run globally. This blog is my contribution this week. As a relative newbie to the world of twitter, over the past few months I have learned, discussed, debated and made links with some of the most amazing people in the world of women’s health and continence on twitter and I hope that this post will inspire some of you to join in the conversations and help to promote pelvic health. Doing their bit for #WorldContinenceWeek, @AusContinence aka The Continence Foundation of Australia are ‘Managing the Motherload.’ Their campaign this year is focusing on pelvic floor health in pregnancy and, as part of this campaign, they have just launched their new Pregnancy Pelvic Floor Plan App. Closer to home, the newly rebranded @ThePOGP (Pelvic, Obstetric and Gynaecological Physiotherapy, formerly ACPWH) are the Chartered Society of Physiotherapy’s special interest group. New to the world of twitter, @ThePOGP post regular updates on their upcoming courses and conferences. Michelle Lyons (@mlyonspt) is an Irish physiotherapist who has quite a busy schedule. Michelle is a course instructor for both @ThePOGP and @HermanWallace, one of the leading providers of continuing education for women’s health physiotherapists in the USA, and she also delivers her own bespoke CPD courses in Ireland, the UK and internationally. Michelle is a regular tweeter, posting links to new and updated websites, blog posts and research studies. In addition to this, she has combined with Gerard Greene (@gerardgreenephy), another Irish graduate now based in the UK, to set up a ‘Women’s Health’ Facebook page which has over 880 members from all over the world contributing to posts on a wide range of women’s health and continence topics. @GussieGrips will remind you to #doyerblardyexercises. Elaine Miller has a unique part time job – she combines her women’s health physiotherapy knowledge with her equally impressive skills as a stand-up comedian! Check out her YouTube videos for a sneak peak at a particularly inventive way of promoting pelvic floor health. Representing the Australians are Sue Croft (@scroftpf) and Mary O’Dwyer (@holditmama). Both are renowned authors having published books on pelvic floor dysfunction and recovery post gynaecology surgery. Also worth checking out is Fiona Rogers (@Pelvicfloorexer) for her ‘Pelvic Floor Tip of the Day’ – your daily dose of pelvic floor friendly advice. If you have an interest in pelvic pain, follow Tracey Sher. Practice owner, educator and Board member of the International Pelvic Pain Society, @PelvicGuru1 is a prolific tweeter. @PelvicHealth is the twitter handle for the Pelvic Health and Rehabilitation Centre, a US physiotherapy practice that specialises in the treatment of pelvic pain. Amy Stein (@HealPelvicPain2) and Sandy Hilton (@SandyHiltonPT) are two other therapists worth following, both having published books on pelvic pain. For those with an interest in yoga, Ginger Garner (@ProYogaTherapy) and Dustienne Miller (@yourpaceyoga) use therapeutic yoga as part of their approach for their women’s health and continence patients. Tweeting under the #nutrition4women is @jessrdrummond, who combines her skills as a nutrition and health coach with her physiotherapy training specifically for women’s health. An avid social media user, Jessica is a regular tweeter, posting links to blog posts and studies as well as using her coaching skills to promote healthy eating and self-care. She is also a frequent Pinterest user, pinning lots of delicious recipes and food suggestions. Staying in the US, @JulieWiebePT is a physiotherapist who takes a global perspective on the core and pelvic floor with her pelvic floor – diaphragm piston theory. @MarianneRyanPT’s tweets reflect her areas of interest which include pre and postnatal care as well as TMJ and headaches. Moving north to Canada, for those with an MSK background, @DianeLeePT needs no introduction. Although not a prolific tweeter, her tweets have links to blog posts, interviews and course reports. Finally, I can’t forget those flying the flag for men’s health – @Prostatejojo (Jo Milios) and @craigallingham (Craig Allingham) are the ones to follow for pelvic floor issues in male patients, particularly post prostate surgery. Most of the names mentioned here, and many more not mentioned, tweet under the #pelvicmafia. So if you have an interest in all or just some things women’s health and continence keep an eye out for the #pelvicmafia crew and join in the conversation to promote continence awareness!